Chinese trio Cao Yupeng, Chen Zhe and Fang Xiongman will be joined by Christopher Keogan on the World Snooker Tour during the 2016/17 and 2017/18 seasons after the four came through Q School Event One today. Both Cao and Chen have main tour experience, while Keogan and Xiongman will join the circuit for the first time following their victories in Burton. China’s Cao Yupeng dropped off the tour at the end of last season following a five-year stay, but will now remain on the circuit following a 4-0 victory against Joe Roberts this morning. The match was closer than it appeared as Roberts began with a break of 52 and scored 40 or more points in three of the four frames played, but it was his more experienced opponent with a top run of 69 who won each frame to progress. 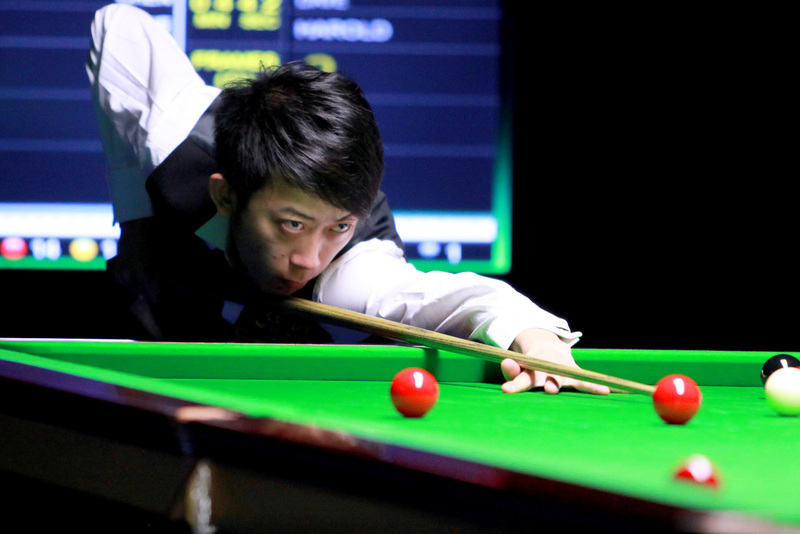 Cao was a quarter-finalist at the 2013 Wuxi Classic and scored a memorable 10-6 win against Mark Allen at the Crucible Theatre to reach the last 16 of the 2012 World Championship. He was ranked as high as 42nd in the world rankings less than two years ago and will be hoping to climb back up the list. He will be joined on the circuit by countryman Chen Zhe, who became only the fifth player to have successfully navigated Q School on two separate occasions with a 4-1 win against David Lilley. It was Lilley who took the opening frame with a break of 53, but Chen responded with runs of 53 and 52 to secure the next four frames and return to the main tour for the first time since the 2013/14 season. Chen previously rose as high as number 66 in the world rankings, twice reaching the last 48 stage of a full-ranking event and also making the semi-finals of the 2012 APTC1 event in Zhangjiagang. The third player from China to successfully qualify was Fang Xiongman, who made a fast start with breaks of 61 and 103 on his way to a 3-0 lead against Daniel Womersley. Womersley though battled back to force a decider, potting pink and black to win frame six by two points, but Xiongman was to win the last to secure a place on the World Snooker Tour for the first time. Fang has regularly played at Asian Tour events in previous seasons and also appeared as a wildcard at ranking events held in China, notably defeating Jamie Jones 5-1 at the 2015 Shanghai Masters. The three Chinese winners were joined by Doncaster’s Christopher Keogan, who defeated Marc Davis 4-0 to earn a place on the World Snooker Tour for the first time. “I’m over the moon,” said Keogan. “I don’t think it’s quite sunk in yet. “I can’t get my head around it. It’s what I’ve dreamed of for a number of years now. Coming so close a well a few times, it’s even sweeter. This year’s Q School saw a record 182 entries and will continue tomorrow with the start of the second event at the Meadowside Leisure Centre in Burton, running until Sunday’s final round.